1, 2, 5 , 10 lb Guatemala Coffee Roasted Fresh Daily in the USA ! Freshest imports yearly, Quality Never Compromised! 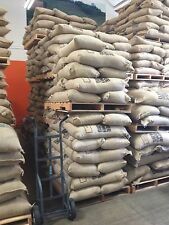 1, 2, 5, 10 lb Ethiopian Yirgacheffe Coffee Roasted Fresh Daily in the USA ! 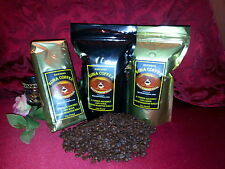 1 Lb 100% Kona Extra Fancy Whole Bean Coffee. Never grind it to a powder. Good beans deserve a good grind, we find Burr grinding is the best available. Do not confuse this with the coffee being weak, it is just very clean to the palate. Colombian Supremo Valle de Cauca Estate Raw Green Coffee Beans. These are Grade 1 quality, 17/18 screen size, raw, unroasted green Arabica coffee beans. The beans roasted up good. I can't complain! 1, 2, 5, 10 lb Costa Rica Single Origin Coffee Roasted Fresh Daily in the USA ! The dry processing imparts a over ripe fruity sweetness to the cup. Sumatra Mandheling ranks in the top tier of distinctive coffees of the world. It is complex, has weight without heaviness, and a deeply resonate acidity not initially apparent. Trending at $32.95eBay determines this price through a machine learned model of the product's sale prices within the last 90 days. We Are Your True Coffee Hunters ! Currenntly foraging the finest wild coffee beans in the highlands of the gayo mountain northern Sumatra indonesia. Highest robusta luwak coffee. NATURAL BRAZIL SANTOS. This particular type is a standard specialty quality coffee. The 14/16 screen size has smaller inconsistent beans and more varying fruit notes that can turn up in smaller screen sized beans, which is an indication of varying bean maturity. Espresso blend. 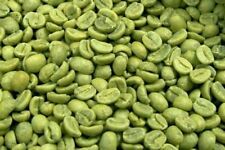 Enjoy this wide variety of green coffee beans from around the world. the dozens of people around the country who are purchasing from. Most roasters keep their. most popular beans from around the world. This bean makes a superb cold brew coffee! These beans are specialty grade beans, the highest grade of bean. several dozen people around the country who are purchasing from. 2 lbs.Tanzanian Mondul Estate Northern Peaberry Fresh Roasted Coffee Beans. The Mondul Estate is part of the Burka Estate which is one of Tanzania’s oldest and largest specialty coffee producers and is located in Northern Tanzania. 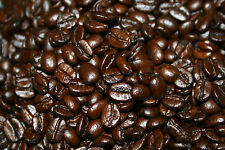 Italian Roast Espresso Coffee, Whole Bean Coffee, Fresh Roasted Coffee LLC. 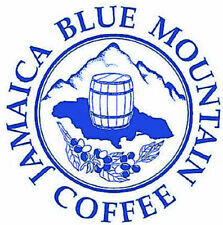 Jamaican Blue Mountain Coffee Beans 100% Autentic ! 2 -BLACK INSOMNIA WHOLE BEAN COFFEE Strong Coffee, 1 lb. 5# PAPUA NEW GUINEA - GREEN UNROASTED COFFEE. GRADE - AX, FINE CUP. Brazil grows about 6 billion pounds of coffee beans each year, which is almost the same amount as the next three coffee-producing countries, Vietnam, Colombia, and Indonesia, produce together. Grinding coffee beans at home provides a stronger coffee that makes the differences in coffee beans much more noticeable. If you are looking for a new blend, then you may have some questions. What do beans from different parts of the world taste like? The weather and the soil make beans from around the world taste different. Coffee beans grow inside a fruit called a peaberry, or cherries, but not the kind you eat on top of a sundae. At higher elevations, coffee beans have a more complex flavor because they do not get as much oxygen while growing. When you blend quality beans from different parts of the world, you can create your own unique roast. 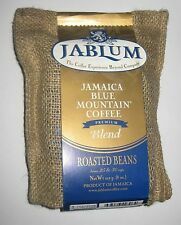 If you would like to try a new blend for your java, espresso, or cappuccino, then try some beans from a different country. Guatemala – Plants grown in Guatemala have an undernote of apple. Mexico – Coffee grown in Mexico often has a cherry undertone. Peru and Colombia – Varieties grown in Peru and Columbia often have a caramel undertone along with a weak nutty flavor. Costa Rica – Coffee grown in Costa Rica tends to have a sweet aroma with hints of spices and chocolate. Ethiopia – Plants grown in Ethiopia produce herbal flavors. How are coffee cherries processed? The way that coffee cherries are handled after they are picked makes a difference in the way that coffee will taste. In Africa and other places around the world, the peaberries are laid on raised beds where they are left to dry in their natural state. They are left there until the cherry rots away, leaving only the natural coffee beans. However, in Latin America and some other parts of the world, cherries are placed in fermentation tanks where the coffee beans are removed from the cherry. This gives those coffee beans more acidity. Finally, in most parts of Central America, the cherries are washed and then laid out to dry, resulting in a creamier-tasting brew. How do you buy coffee to roast? Look for whole beans – Beans contains about 950 identified compounds. Buying whole beans allows you to get more of the oil the drink gets its flavor from, giving you a more flavorful cup. Look for growing location – The climate, soil, and elevation in different parts of the world make coffee beans taste different. Look for roast date – Get beans that have a roasting date close to the current date for maximum quality.